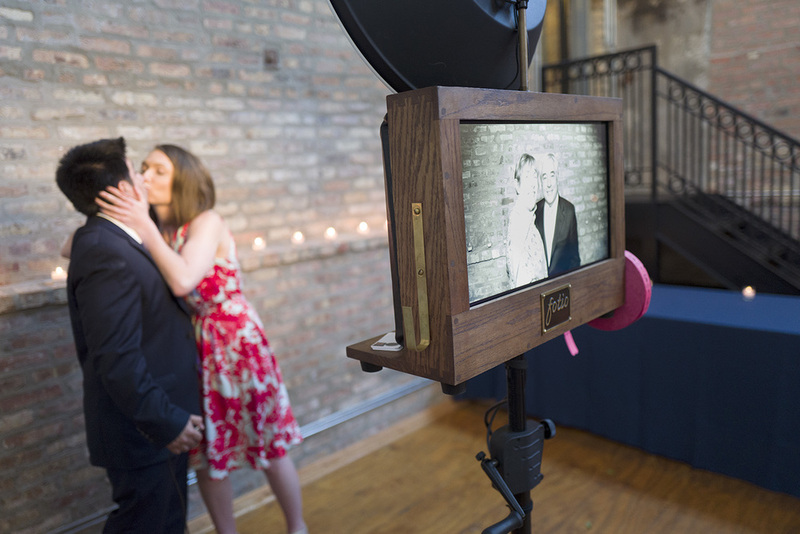 A Fotio photo booth setup in the Industrial Ballroom at Ravenswood Event Center Wedding. The bride and groom take a photo booth picture in the Industrial Ballroom! The bride and groom share their first dance in the Industrial Ballroom. Lola Bard Productions provide the live music! This couple goes in for a kiss! Chris Tourre from Arcade Brewery! Bride and groom get a photo booth pic with friends! The bride having fun watching the photo booth pictures! The industrial ballroom looks so cool as the sun goes down!